Central Florida is home to some of the biggest names in family-friendly vacation destinations. While Orlando is famous for its many amusement parks, there is an almost limitless number of educational opportunities. In today’s post, we’ll take a look at some of the ways that your students can experience education on a completely different level from the classroom, and perhaps return home with a new-found appreciation for a different subject in school. When you are ready to schedule a school field trip, be sure to contact Sonshine Educational Tours and benefit from our years of experience planning and guiding school trips. Disney’s Youth Education Series® offers a number of different courses that students can take depending on the focus you want for the field trip. From behind-the-scenes educational seminars and learning how to design stories to observing marine life and developing their own leadership legacy, there are a wealth of opportunities that you can help them experience. Students love to learn when the curriculum and presentation are engaging. Imagine teaching a classroom about the properties of force, motion, and gravity without the benefit of making them feel any of these things. Now imagine teaching them about these same properties after they have had a chance to ride Space Mountain twice — once with the lights on and once with them off. Can you see the excitement on their faces and hear the energy in their voices as they engage in conversation with you? Disney’s Performing Arts affords young musicians and artists the opportunity to showcase their talents before a live audience. Your students can be a part of one of the best holiday traditions at Epcot® when they perform with other choirs in retelling the Christmas story. Children as young as elementary school dazzle park guests with dance at Disney California Adventure Park®. Marching bands are afforded the opportunity to march down Main Street, U.S.A. at Walt Disney World Resort® in front of an international audience. When children are young, the future appears to be wide open with any number of possible careers. Do you remember wanting to be a ballerina, an astronaut, a police officer, or a unicorn? We know that when you show children some of the possibilities that are available, their vision for their future will expand. Through Disney Youth Education Series®, your students will have the opportunity to explore what good leadership and teamwork look like, examine energy and waves in a physics lab, or explore what it takes to enter the world of the culinary arts. We know that no matter which courses you pick for your students, they are sure to develop a deep passion for learning and return home with many wonderful memories. 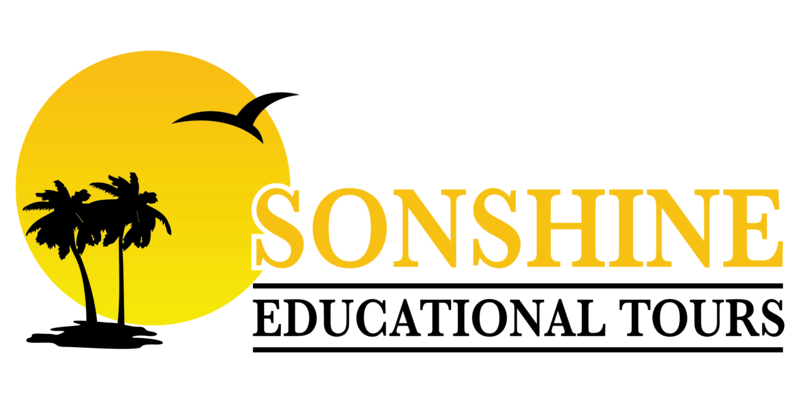 Sonshine Educational Tours has more than 25 years of experience planning, guiding, and executing school field trips in a number of different locations. If you are considering a school field trip to Central Florida, then be sure to contact us and let us take care of the many details that go into planning a school tour group while you enjoy learning alongside your students!